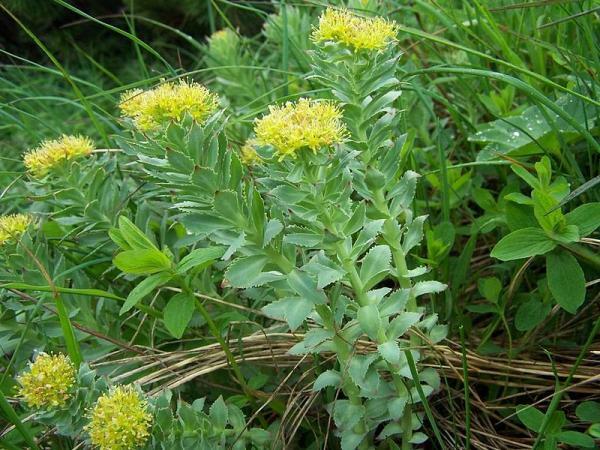 Rhodiola rosea is a perennial herb with a solid history as a food and a more mysterious reputation in herbal folk lore and modern alternative medicine. Rhodiola rosea is a member of the Crassulaceae (stonecrop) family. Rhodiola goes by many aliases, including Golden Root, Roseroot and Rhodiole Rougeâtre. The color of the flower generally indicates the gender: female flowers have yellow petals, while the males are purple. Rhodiola grows in cooler temperate regions, as well as in sub-Arctic and Arctic climates. Rhodiola is found in Canada, particularly in the territory of Nunavut, and in the northern portion of the province of Quebec. As well as growing in Alaska, the plant has prospered in Greenland and Eurasia for centuries. Rhodiola can live on the tundra, particularly on slopes, ridges or cliffs. Although it can survive under somewhat moist conditions, it does well in dry tundra where the soil has a low organic content.